A couple I know were about to celebrate their 20th Anniversary. HE surprised HER with two nights at a local resort. On the second night, he took her to their church chapel on the way to "dinner" to light a candle and pray for their marriage. When they opened the chapel doors, there stood one of their pastors, and he greeted HER and said, "Welcome to your renewal of vows." SHE was surprised and they recommitted themselves to their marriage vows in a beautiful and touching ceremony, which my husband and I were so touched by. Of course, I had to make a card to celebrate the occasion. Remember yesterday's card with that cute and lacey-looking butterfly? This is where I got the butterfly from! I don't like to throw away scraps, so I used an inspiration out of the Stampin' Up! 2017-2018 Annual Catalog to create the tag on the clear box from yesterday. Even though I knew we were giving the couple a bottle of wine to celebrate, I completely forgot about decorating the bottle! The bag is a retired Stampin' Up! item and I used the Large Numbers Thinlits with Dazzling Diamonds Glimmer Paper and the Brushwork Alphabet and Thoughtful Banners stamp sets for my sentiment. Thank you for stopping by! Be sure to come back tomorrow for the Pals June Blog Hop! 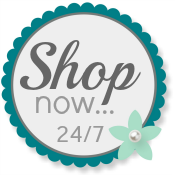 Shop my Online Store any time you need stamps, paper and ink for your creations.
. Thank you, thank you, thank you!! !